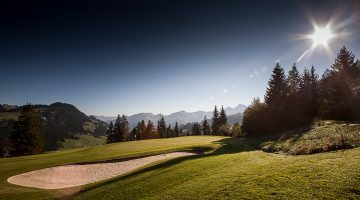 Take in the magnificent panorama of the entire alpine chain during a round of golf on the 18-hole Limpachtal course. But don’t be deceived by the peaceful ambience of this rural idyll. You may be lulled by the accompaniment of nearby cowbells, but this course is nothing less than an adventure. As you go from one end of the course to the other, you will find that water separates the greens no less than 14 times. This water, together with a cheeky green design and some mischievous breezes all demand a fair amount of tactical skill. Moreover, at more than 6,800 yards, Limpachtal is one of the longest courses in the region. 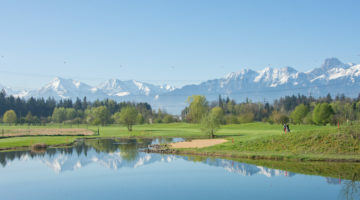 The 730-yard Hole 11 is famous for being the longest fairway in Western Europe – the only par 6 hole in Switzerland. Rise to the challenge and test your skill in the beautiful Limpachtal. 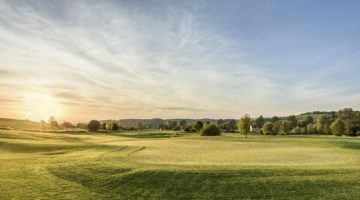 Members of a ASG Club, ASGI-, Golf Card Migros-members, members of an international recognized golf club are with course permission from Monday to Sunday allowed to play.